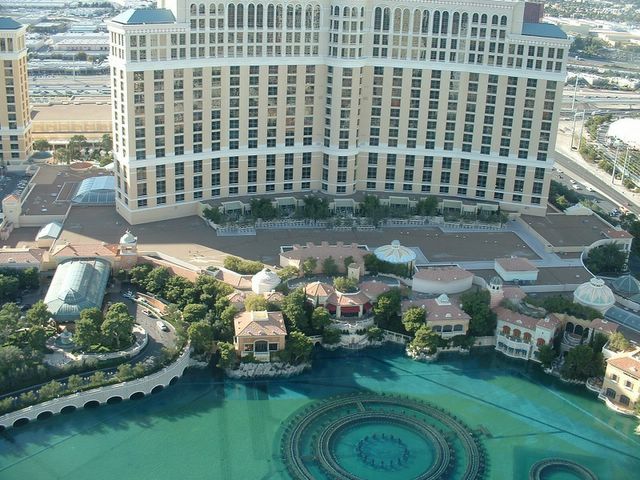 LasVegas2005plusafewHOME -- Bellagio and fountains pool from observation deck at Paris Las Vegas. Consider eating at Paris - expensive but gives you free views from the tower. The “Tower Experience” is only a ride up and down the elevator. Reasonably priced at 9 though the stratosphere offers comparable views of the strip.